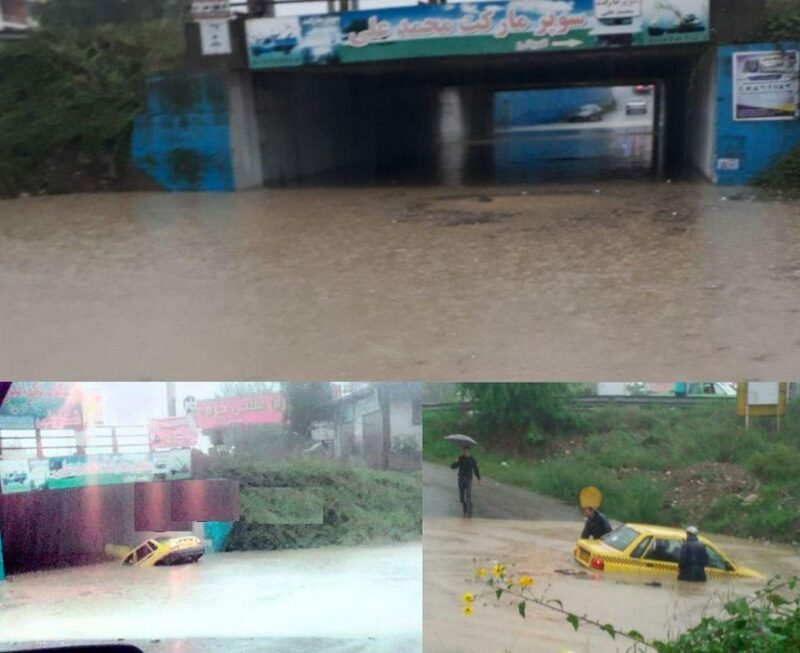 It’s raining like hell in Iran since two days. The downpour, that has started on Friday, has been the heaviest during the past 20 years in the northern part of the country. 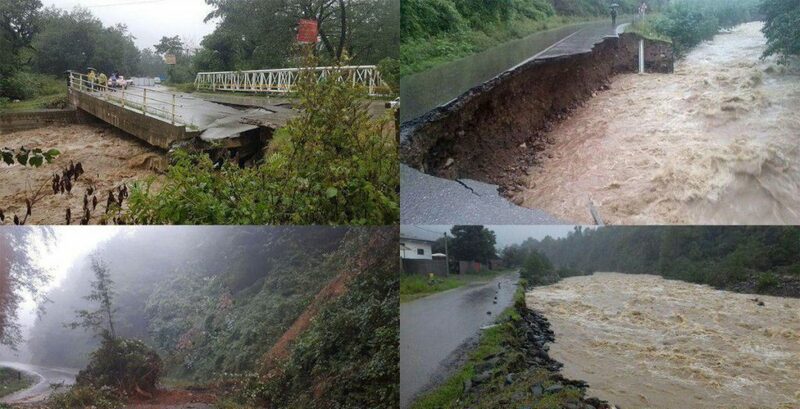 The biblical deluge in the northern and northwestern parts of Iran has killed at least seven people. 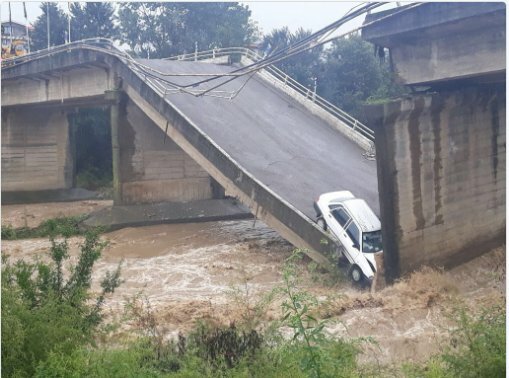 The unprecedented floods in the three provinces of Mazandaran, Gilan and Golestan destroyed roads, houses and bridges, and caused heavy damage to the infrastructures. 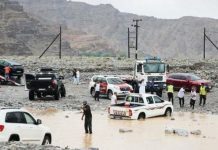 Cars were stuck in flood, and electricity and gas flows in the rural areas have been disrupted. 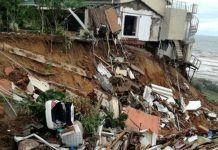 Iran’s Rescue and Relief Organization announced that the rescue operators have been dispatched to the flood-hit areas to help people pump flood out of their houses. On Twitter some have other opinions: ‘Iran’s regime refuses to provide adequate infrastructure and the people are left to suffer.‘ Well, I believe the sufferers. Oh, what can we say call upon Allah your false god maybe he can help you. this is what happens when a wicked nation continues in there wickedness and then gets what it deserves when it follows after false gods as well as being a terrorist nation murdering thousands of innocent people. there is much more coming your way and that’s just to bad. all of you will rot in hell that are evil. as far as the Christians living in fear in that hell hole may God spread his hand of protrction and spirit around you to keep you all safe. 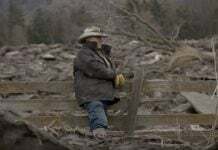 Lois Vogel sharp prophesied flooding in Iran and a dam break back on 9-30-18 that’s one of two now let’s see what all that water does. i cant think of a finer country for the father to smite..
We are commanded to love all people, what have any of those people done to you? Wow.. You guys are beyond lame. You know nothing about Iran except what the MSM has fed you. Mostly LIES. Iran is the only country worldwide to say F U to Standard Oil and the ENTIRE Rothschild Banking Cartel. What we were told was the “Islamic Revolution” was the Iranians throwing off the shackles of the Rockefeller/Rothschild Cabal. And they DID IT in 1979! BOTH of you are as enlightened as a sand flea.